Over 1,000 people from outside Jersey work in the Island's financial and legal sector, making it the biggest source of applications for business licenses. 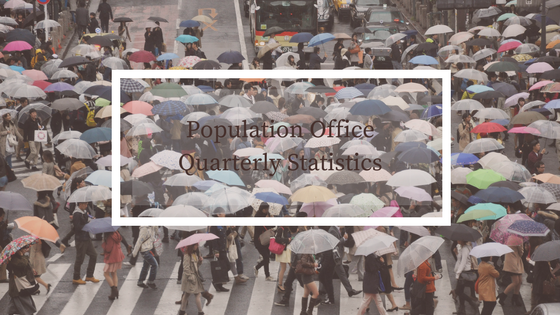 Population Office statistics for Q4 2017 show 1,286 people with licenses worked in finance and legal in Jersey at the end of 2017 – just three more than the previous quarter. Finance and legal is also a significant employer of registered workers, with 1,039 registered employees – 90 people fewer than in Q4 2016. The fall in registered permissions for finance and legal is at similar levels to the drop in permissions for sectors such as hospitality and retail. However, it comes at a time when many financial and legal firms have experienced a degree of growth not necessarily seen in other sectors. Jersey's Business Tendency Report for September 2017 showed the finance sector was performing better than many other areas of the economy with six out of eight positive indicators. The report showed the finance sector was also strongly positive for future business, and strongly positive for future employment, compared to neutral indicators for the non-finance sector. While this economic growth is clearly very welcome, the reduction in registered permissions, and atic level of licenses for the finance sector at a time of growth clearly puts pressure on recruitment. We are seeing a steady flow of excellent roles coming in for new and existing positions, and you only have to take a peek at the social media accounts of virtually all Island financial companies to see how high recruitment is on the agenda. Companies clearly need the licenses they have, and potentially more, to bring in people with specialist skills, however, bringing new talent to Jersey for specific roles is not as easy as it sounds when you take into account all the requirements of a non-Jersey candidate and their family. This means locally-qualified workers, who already have the skills to work in finance, or who can take qualifications to obtain those skills and work their way up, are in a strong position to transfer into this sector. We're always interested in speaking to strong candidates with a financial services background, so if 2018 is the year for you to make a move, please check out our latest vacancies and get in touch.